Buena Park’s Christian “Chimpa” Gonzalez is a rising prospect training out of the famed Azteca Boxing Club. second-round knockout victory of Jonathan Corrales, Friday at Belasco Theater on the LA Fight Club card. Gonzalez (15-0) scored a knockdown in the first round and he finished Corrales in the second round, landing a succession of punches that dropped Corrales. The referee didn’t bother with the count, stopping the fight at 1:57 of the round. Gonzalez graduated from Buena Park HS in 2013. He’s the younger brother of former WBC featherweight champion Alejandro “Cobrita” Gonzalez. “With every fight, the game plan is to go for the knock out, and I was glad I was able to get it with this fight,” Gonzalez said. In the other fights on the card, Antonio Gutierrez (20-2-1) defeated Jorge Melendez (28-6-1) by unanimous decision (97-92, 97-92, 96-93. Oscar Duarte, who is trained by Joel Diaz (7-0-1), defeated Rafael Reyes by unanimous decision in four-round fight. Tenochtitlan Nava (3-0) scored a third-round TKO victory in his fight against Juan Byrand. Lamont Roach Jr. (12-0) stopped Mario Macias for a second-round knockout and Edgar Valerio (8-0) won an unanimous decision victory over Emmanuel Castro. Santa Ana’s Alexis Rocha was scheduled for his first six-round fight Friday night in the latest Golden Boy Promotions’ LA Fight Club card at Belasco Theater. Rocha, the younger brother of WBC silver featherweight champion Ronny Rios, didn’t need that long to take care of business. round to improve to 4-0. Rocha, 19, sent Villela to the canvas with a left hook. Once Villela got up, Rocha went on the offensive, forcing referee Raul Caiz Jr. to stop the fight at 1:18 of the opening round. Rocha said he would like to be back in the ring as soon as possible. East L.A.’s Ivan Delgado finally ended a fight before the final bell, in the co-main event against Alejandro Ochoa. Delgado (10-0-1) landed three successive left hands that sent Ochoa sprawling the canvas and as soon as he fell, referee Dr. Lou Moret didn’t bother with the count, stopping the fight at 1:42 of the seventh round of a scheduled eight. 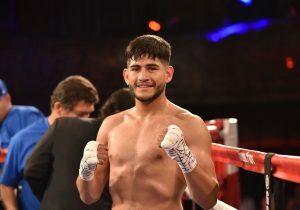 In other action, Oscar Duarte, who is trained by Joel Diaz, took care of Omar Garcia within the first minute of their fight, for a first-round knockout victory. The time of the stoppage came at 58 seconds of the opening round. Santa Monica’s David Mijares improved to 3-0 with a second-round stoppage of Jorrell Sparenberg. The next LA Fight Club show is set for Sept. 2. 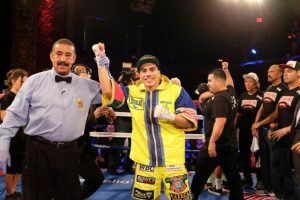 Shabranskyy, who trains under Manny Robles at The Rock in Carson, roared to a third-round stoppage over Oscar Riojas, Friday night the latest edition of Golden Boy Promotions’ LA Fight Club at The Belasco Theater. After a patient beginning, Shabranskyy swung the momentum on a powerful straight right hand that sent Riojas to the canvas. 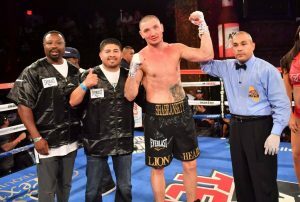 Riojas beat the 10-count, but as soon as the fight restarted, Shabranskyy landed another right hand, leading to the stoppage at 1:43 of the third round. 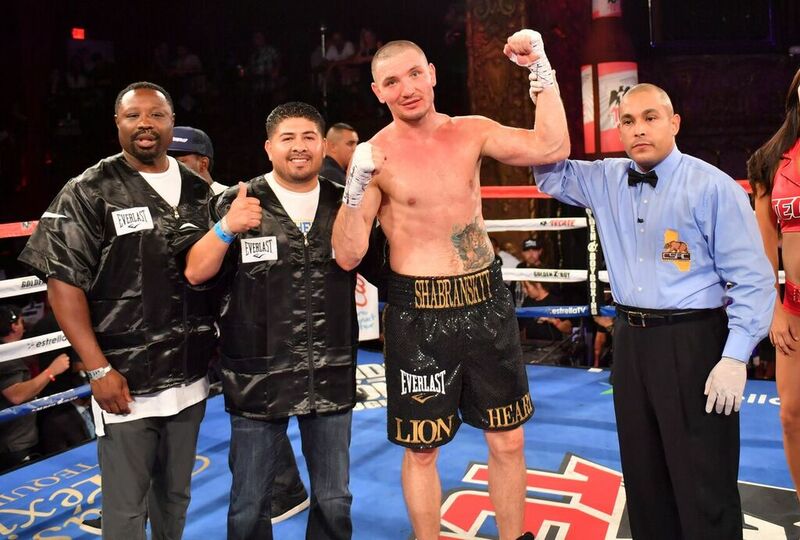 Shabranskyy finally figured out Riojas’ awkward style and improved his record to 17-0. Robles agreed that now is the time for Shabranskyy to track down one of the bigger names in the division. 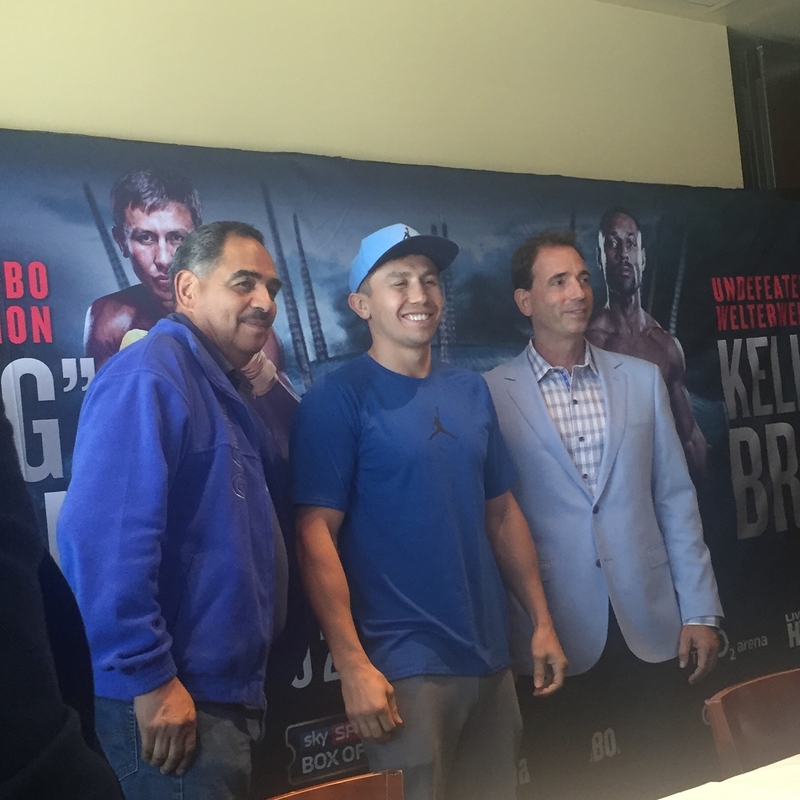 “I would like to see him in a big fight, definitely, against a big name,” Robles said. “He got the job done tonight, not to take anything away from the opponent, he (Shabranskyy) did what he was supposed to do, but I definitely do feel that he’s ready for something much, much bigger. Seniesa Estrada (7-0) of East Los Angeles will make her return to the ring in a familiar spot, Sept. 10 at The Forum in Inglewood against Nancy Franco (15-9-2, four KOs) at on the undercard of the Roman “Chocolatito” Gonzalez-Carlos Cuadras fight. 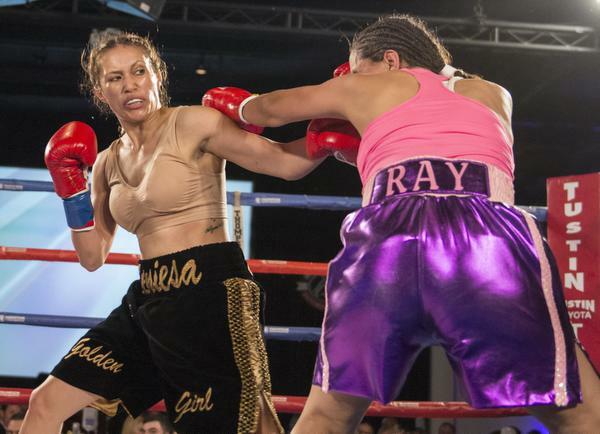 In her most recent fight, Estrada overcame a knockdown to defeat Christina Fuentes by decision. Franco, 27, dropped a 10-round decision to Yesica Yolanda Bopp in June for the WBA junior flyweight title. “We’re very excited to welcome back Seniesa back to The Fabulous Forum for one of our events,” Tom Loeffler, Managing Director of K2 Promotions, said. “This is the third time she has fought on one of our undercards at The Fabulous Forum and her action packed fights have contributed to a full evening of entertainment for fans inside the arena which is paramount to our shows. Nancy Franco has faced numerous world champions and has the skill set to bring out the very best in Seniesa in a fight that should be explosive from the opening bell. The co-main event of the card features the rematch between Jesus Soto Karass (28-10-4, 18 KOs) against Yoshihiro Kamegai (26-3-2, 23 KOs). The PPV undercard for next month’s Canelo Alvarez–Liam Smith fight from AT&T Stadium in Arlington, Texas is finally set. The Sept. 17 PPV will begin at 6 p.m.
Diego De La Hoya (15-0, nine KOs) will open the card against Luis Orlando Del Valle (22-2, 16 KOs) in a 10-round fight, followed by Joseph Diaz Jr. (21-0, 12 KOs) taking on Andrew Cancio (17-3-2, 13 KOs) in a 10-round fight. In the co-main event, middleweights Willie Monroe Jr. (20-2, six KOs) meets Gabriel Rosado (23-9, 13 KOs) in a 12-round fight. Alvarez and Smith will be for Smith’s WBO junior middleweight title and is being promoted by Golden Boy Promotions, in association with Frank Warren, Canelo Promotions and Banner Promotions. Jarrell “Big Baby” Miller (17-0-1, 15 KOs) is on the rise in the heavyweight division. He has the knockout power and he isn’t afraid to speak his mind. He returns to the ring Friday night against veteran Fred Kassi (18-5-1, 10 KOs) on the newest edition of ShoBox: The New Generation (10 p.m. ET/PT). the ring Saturday night in Rosarito, Baja Mexico and narrowly edged Ramon Alvarez, the older brother of Canelo Alvarez by split decision. Margarito improves to 40-8 with the victory, his second since returning from a four-year period away from boxing. Two judges scored the fight 97-92 for Margarito and a third had the fight 95-94 for Alvarez in a super welterweight fight. Alvarez drops to 23-5-2. 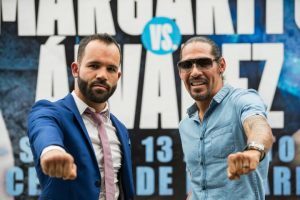 Margarito returned to the ring in March defeating Jorge Paez Jr.
After beating Ramon Alvarez, he told reporters that he wants a shot at Canelo later this year. Mikaela Mayer opens the Olympics with unanimous decision victory. unanimous decision victory over Jennifer Chieng (Micronesia), Friday. The scores were 40-35, 40-35, 39-37. Mayer will next face Anastasia Beliakova, Monday. If she’s victorious she will clinch at least the Bronze medal. In other U.S. Olympic action, Carlos Balderas lost a unanimous decision to Cuba’s Lazaro Alvarez in a lightweight fight. All three judges scored the fight 30-27. Nico Hernandez also suffered a defeat, falling to Uzebekistan’s Hasanboy Dusmatov (30-27, 29-28, 29-28). Hernandez had already clinched the Bronze Medal, making him the U.S. first medalist in boxing since Deontay Wilder in 2008. Hernandez will receive his Bronze Medal Sunday following the light flyweight Golf Medal fight. Claressa Shields has her first fight Wednesday. 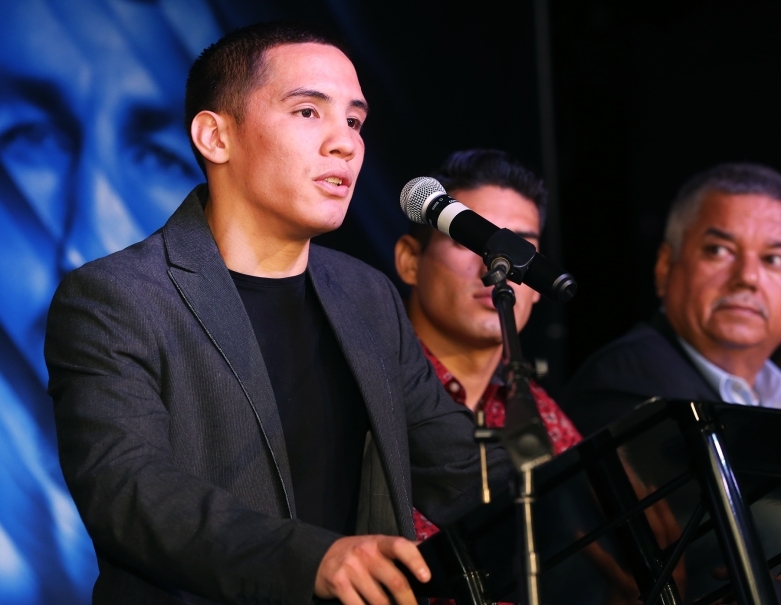 The quick turnaround isn’t anything new for Oscar Valdez. He’s had shorter breaks, but if he’s successful Saturday, the sacrifices will be worth it. Valdez, 25, a two-time Mexican Olympian, has finally arrived at his first title shot when he faces Matias Rueda, from the MGM Grand, Saturday for the WBO featherweight title. The title was vacated after Vasyl Lomachenko moved to 130 pounds. Lomachenko recently stated this week that he’s staying at 130 pounds. Valdez (19-0, 17 KOs) had an easy answer. Valdez said he started training camp at The Rock in Carson with trainer Manny Robles close to weight, allowing him more time to study the style and technique of Rueda. “I study everybody, either in my weight class or close to it, because I know it is possible we might end up fighting,” Valdez said. “Once I got his name, I went back to find videos. He’s a typical Argentinean, like Lucas Matthysse, Marcos Maidana. He’s a hard-hitter, 26 fights, 23 knockouts. I don’t care about his record and style. One thing my trainer Manny (Robles) is always telling me, don’t worry about what he’s doing, worry about yourself and what you’re doing to prepare. Valdez competed at the 2008 and 2012 Olympic Games for Mexico and quickly turned professional following the London Games. His ascent has been quick, but he knows there’s more to learn as his career progresses. “In boxing, you never stop learning,” Valdez said. “That’s the good thing about this sport. You can never get tired of learning. I love boxing, this is my passion. I don’t take much vacation time because I always want to get back in the gym.